Mr. Bossidy is President and Chief Executive Officer of Patripabre Capital LLC, in Ridgefield, Connecticut, and provides consulting services to companies in the financial services industry. Mr. Bossidy previously served as President and Chief Executive Officer of Clayton Holdings LLC from 2008 to 2014, when it was acquired by Radian Group, Inc. He also formerly served as Senior Operations Executive at Cerberus Capital Management and has held various executive appointments for General Electric Company, most recently as President and Chief Executive Officer of GE Capital Solutions Group, a diversified global commercial finance company. He is a certified public accountant. Mr. Bossidy has been designated by the Board of Directors as a financial expert under the rules of the Securities and Exchange Commission. Mr. Brunelle is Co-Founder and Managing Director of North Pointe Wealth Management in Worcester, Massachusetts. He has over 20 years of experience in financial services working with businesses, individuals, families and charitable foundations. Mr. Brunelle is a former Director of Commerce Bancshares Corp. and Commerce Bank & Trust Company and served on Commerce’s audit and loan committees. He has also served as trustee or corporator for numerous non-profit entities in and around Worcester, including The Nativity School of Worcester, The Worcester Regional Research Bureau, The Worcester Educational Development Foundation, the UMass/Memorial Foundation, Becker College and the Greater Worcester Community Foundation. Mr. Curley is Chairman of the New York region of Berkshire Bank. He previously served as Chairman and President for Citizens Bank in New York from 2005 to 2009. Prior to joining Citizens, Mr. Curley served at Charter One Bank where he was President for New York and New England. During the period of 1976 to 1999, Mr. Curley was employed by KeyCorp, where he rose to the position of Vice Chairman of KeyBank N.A., and served as President and Chief Executive Officer of four subsidiary banks. Mr. Curley was hired by the Company and the Bank as Chairman of our New York region and appointed as a director of the Company and the Bank in December 2009. Mr. Davies is a former Executive Vice President of Massachusetts Mutual Life Insurance and is currently an Agent Emeritus with Massachusetts Mutual, providing high net worth counseling with a focus on tax efficiency and intergenerational transfers of wealth. Mr. Davies currently serves on the Westfield State University Foundation Board. Mr. Davies is a former director of Woronoco Bancorp. Mr. Dunlaevy is the former Chief Executive Officer and Chairman of the Board of Legacy Bancorp, Inc. and Legacy Banks (collectively, “Legacy”). Mr. Dunlaevy served as the Chief Executive Officer and Chairman of the Board of Legacy from 1996 until their merger with Berkshire in 2011. A community leader, Mr. Dunlaevy currently serves as a director of the Berkshire Bank Foundation, and previously served as Chairman of the Berkshire Taconic Community Foundation. Mr. Dunlaevy has also been a director of the Depositors Insurance Fund, Massachusetts Bankers Association, and Savings Bank Life Insurance Company of Massachusetts (“SBLI”). Mr. Dunlaevy has been designated by the Board of Directors as a financial expert under the rules of the Securities and Exchange Commission. Ms. Massad has been Of Counsel with Fletcher Tilton PC since April 2001. She has over 30 years of experience as a practicing attorney, concentrating her practice in the areas of banking and finance, secured lending, corporate and real estate law, and is a member of the Worcester and Massachusetts Bar Associations. Ms. Massad is a former Director of Commerce Bancshares Corp. and Commerce Bank & Trust Company and served on Commerce’s loan, compliance and compensation committees. Ms. Massad currently serves as a director of the Hanover Theatre and as a trustee of the Nativity School of Worcester. Additionally, Ms. Massad serves as a director for many well-known Massachusetts businesses including Diamond Chevrolet, Inc. and Diamond Auto Group, Pie Co. Realty, Inc. and Table Talk Pies, Inc.
Mr. Mahoney is the former Chairman, President and Chief Executive Officer of Woronoco Bancorp, Inc. and Woronoco Savings Bank before their merger with Berkshire in June 2005. He is a former Chairman of America’s Community Bankers and the Massachusetts Bankers Association and a former Director of the Federal Home Loan Bank of Boston. He was a member of the Thrift Institution Advisory Council to the Federal Reserve Board of Governors and is a past Chairman of the Board of Trustees of Westfield State College. 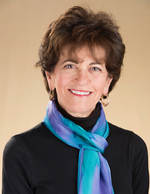 Ms. Moffatt is the Director and Chief Executive Officer of the Norman Rockwell Museum, Stockbridge, Massachusetts. Since 1986, Ms. Moffatt has overseen the expansion of the museum’s facilities and the creation of a scholars’ research program. Her efforts resulted in the Museum receiving the National Humanities Medal, America’s highest humanities honor. Ms. Moffatt is also an active community leader. She is a founder of 1Berkshire and Berkshire Creative Economy Council and serves as a trustee of Berkshire Health Systems and a director of Berkshire Health Systems, Inc. and Berkshire Medical Center, Inc.
Mr. Murphy is Chief Operating Officer and Executive Vice President of the Tri-City ValleyCats minor league baseball team, a Class-A affiliate of the Houston Astros based in Troy, New York. He previously served as Chairman of the New York-Penn League Schedule Committee and is a current member of the Board of Directors for Minor League Baseball’s Baseball Internet Rights Corporation. Mr. Ryan is the Chairman of the Board of Directors of the Company. Mr. Ryan previously served as Chairman of the Board and Chief Executive Officer of Banknorth from 1985 through 2005 and then subsequently Chairman of the Board and Chief Executive Officer of TD Banknorth from 2005 to 2007. He served on the Board of Directors for Anthem, Inc. from 2001 to 2017 and was formerly Chairman of the Board, 2011 to 2015, and director, 2011 to 2016, of Unum Group. 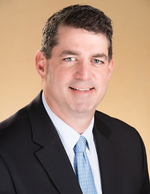 Mr. Sheehan is owner and manager of multiple healthcare businesses in New England. Through his management company, Sheehan Health Group, he has operated multiple nursing homes, an independent and assisted living community, a home care agency and a rehabilitation company. A veteran of the healthcare industry, Mr. Sheehan has been successfully rehabilitating and managing healthcare properties since 1990. Mr. Templeton is the owner and President of The Mosher Company, Inc., located in Chicopee, Massachusetts, a manufacturer of buffing and polishing compounds, abrasive slurries and a distributor of related grinding, polishing and lapping machinery. Mr. Templeton is a former director of Woronoco Bancorp.